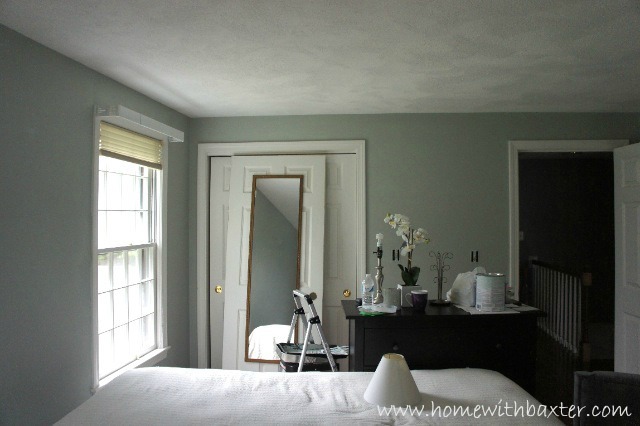 In my last update about the guest bedroom, I told you that I was ordering a sample of Restoration Hardware's Silver Sage paint. Well the sample arrived and I really liked it, so I had it color matched to Benjamin Moore's eggshell finish paint and primer. 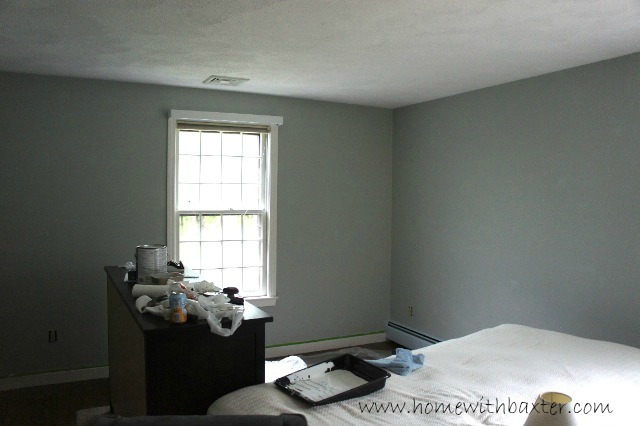 I put one coat on the walls yesterday and I'm so happy with it! Depending on the time of today and amount of sunlight, it reads darker or lighter, sage or gray, but it's a really calming soothing color. 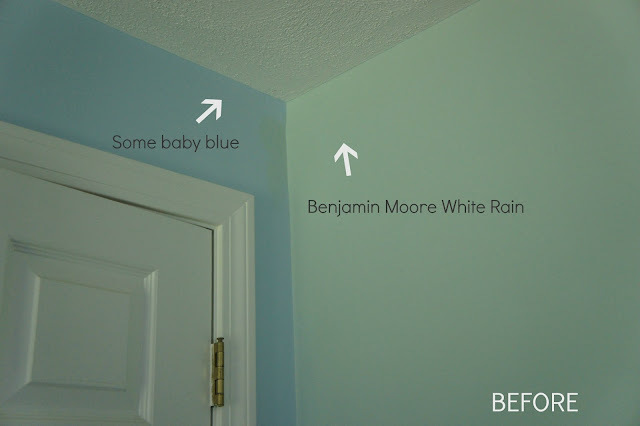 So much better than Benjamin Moore's White Rain. I have one more coat to put on the walls today and then I can start the fun part. Decorating! 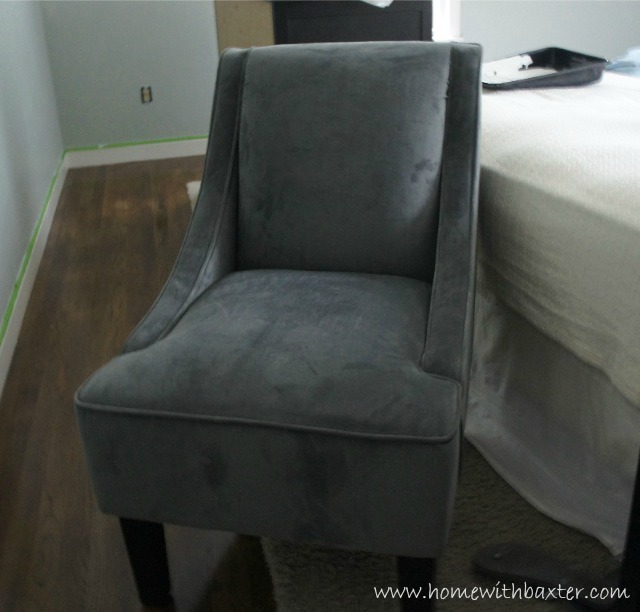 I mentioned in this post that I bought this velvet chair from target for $135.99. It was so easy to put together and I'm pretty happy with the quality. There are a few marks in the fabric, but because it's velvet you don't really notice it since velvet does that anyway. It's on sale now for $127.99 if you're interested. What colour is the Benjamin Moore paint you ended up choosing?